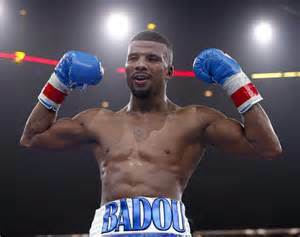 WBC supermiddle champ Badou Jack is back in home Stockholm, Sweden, for a brief visit before heading to his other homecountry, Gambia, where his father comes from. Jack told STV (public service TV) that the defence against Julio Cesar Chavez, Jr, might go ahead April 30 but is not a done deal yet. Jack is one of the nominees for Male Athlete of the Year and will on Monday be on hand in the Globe Arena when the awards are handed out. Badou is the first male boxer to be named in this category.